There are few things more frustrating for a homeowner than trying to save money on their energy bills. No matter how careful you are to select energy efficient light bulbs and turn off appliances that are not in use, you likely see high energy costs in the summer and winter. Especially in the South, our brutally hot summers can really push our air conditioners to work as hard as possible, and all that cooling requires electricity. However, if your home is leaking that cooled air out through unseen cracks, your air conditioner is having to work even harder to make up for that cold air loss. Many Atlanta homes leak a great deal of air, unbeknownst to the homeowners. Unfortunately, all that leaking air can cost unwitting homeowners a great deal on their energy expenses throughout the year. Heat loss due to air leakage can occur when a home or building is poorly designed or poorly constructed, or in a building that is simply older and in need of insulation upgrades. At Southeastern Insulation, we understand how important it is to identify where your home is leaking energy (and money!) 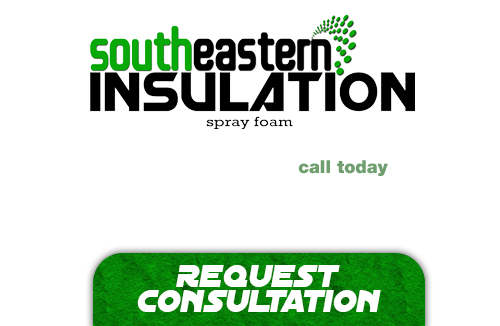 so that we can work with you to develop a plan to better insulate your home. In order to help you identify and correct problem areas in your home, we offer the latest infrared thermal imaging technology. If your Atlanta home isn’t as energy efficient as you would like, but you can’t figure out why, you may be a good candidate for thermal imaging. If your home is constantly leaking your temperature-controlled air, the cost of that leaking air show up on your energy bills. 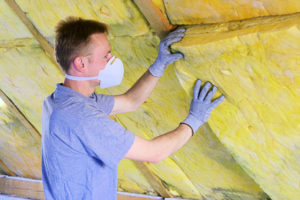 Unfortunately, it can be very difficult to tell where air is leaking into and out of your home without taking down walls to inspect the insulation and design of your home. At Southeastern Insulation, we offer thermal imaging services to help you detect where your home is losing energy. Thermal imaging works to help audit your home’s energy losses through minute crevices, insulation breaches, and even within the wall space of your home, detecting air leaks that would otherwise go unnoticed by the human eye. Our Atlanta insulation contractors can use the infrared technology that thermal imaging offers to show our clients where they are losing energy, so that we can develop a plan to increase your home’s energy efficiency in a minimally invasive way. Thermal imaging uses infrared technology to detect energy loss by identifying heat loss or air infiltration through ceilings, floors, windows, and walls. Thermal imaging cameras detect heat waves and create a visual representation of the objects in and around your home based on the amount of heat they give off. Because thermal imaging can detect temperature, it is useful to show where heat loss is happening in your home. For example, small holes in your structure, imperceptible to the naked eye, can create fissures for your warm air to escape in winter or your cooled air to escape during the hot Atlanta summer. Scanning your home with a thermal imaging device can help you determine if and where you have problems with air infiltration or heat loss. At Southeastern Insulation, our Atlanta insulation contractor professionals will scan your home using a thermal imaging camera, which will show you where heat loss is occurring in your home’s structure. If you suspect that your Atlanta home is poorly insulated, or if you believe that your home energy expenses are too high due to energy loss through your walls, doors, windows, or elsewhere in your home, the first step for you might be a thermal imaging scan. Once your home has been fully scanned, our experts can help you determine what parts of your home need to be addressed to make sure that your home is fully insulated and energy efficient. Once you know where you are leaking the most air, our knowledgeable team can help you with spray foam insulation, crawlspace encapsulation, radiant heat barriers, and more. Don’t let your hard-earned money go to waste cooling a leaky house during the summer and heating it during the winter. We can help you identify and solve your heat loss problems! If you are tired of wasting money on energy costs and want to make your home more airtight and efficient, thermal imaging is a great first step that can help you make smart insulation choices for your home. To get started on your thermal imaging scan, contact our professional Atlanta insulation contractor experts today!